In 2014 Blake Kuwahara introduced his very exclusive collection to the world of eyewear. An optometrist and a true artist, Blake has reinvented the approach to design. Engineering a unique lamination process, these luminescent frames are the combination of an inner silhouette encased in a polished outer shape. 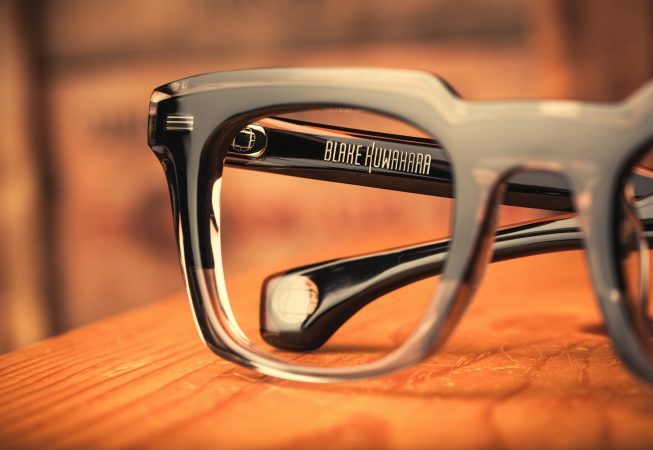 Sleek, striking and unlike any other eyewear, Blake Kuwahara frames will continue to evolve with the constant flow of creative energy that buzzes around this innovative designer.